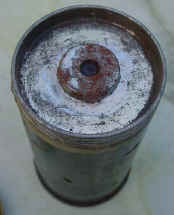 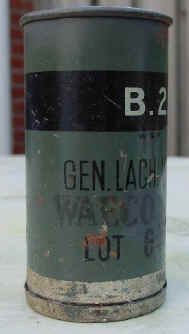 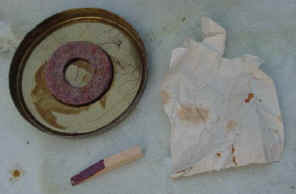 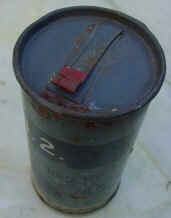 This Teargas grenade was made of thin sheet steel, with a filling of "B2", a lachrymatory compound. 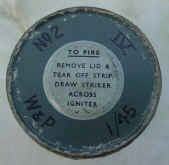 It had to be lit by hand using the friction-match which was fitted under the removable base cover. The body was painted grey with black markings. 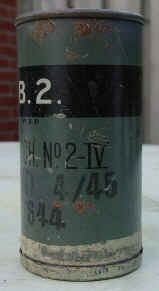 "B2" was marked in white on a black band.